At it again! 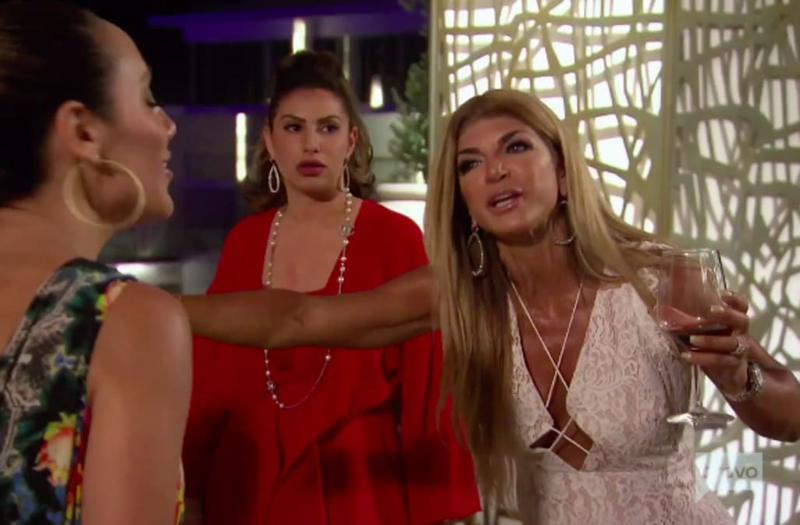 After making nice last season, Teresa Giudiceand Melissa Gorga go head-to-head in Us Weekly’s exclusive trailer for season 9 of The Real Housewives of New Jersey. The two women have had a bumpy relationship over the years. Melissa, who is married to Teresa’s brother Joe Gorga, has accused her costar of not treating her like family in the past. “I really don’t know if you’re going to really, like, love me like a real sister,” an emotional Melissa says at the end of the trailer. Us Weekly confirmed in April that Jennifer and Jackie were joining the cast of RHONJ season 9. Per the release, Jennifer is a mother to five children ranging from 5 to 13-years old and is happily married to a successful plastic surgeon. She also comes under fire with the ladies after she agrees to helps arrange her brother Michael’s marriage to a family friend in Turkey. Jackie, meanwhile, is a mother of two sets of twins under the age of 10 and a friend of Margaret Josephs, according to the release. She also a former real estate attorney, who has recently kicked off a new career as a parent blogger. In the trailer, Jennifer and Margaret have a headed exchange about their husbands. Someone who is barely present in the trailer? Friend of HousewifeDanielle Staub, who returned for season 8 following a six season hiatus. Us exclusively revealed Danielle’s wedding to her now-estranged husband Marty Caffrey was documented for the reality series in May. The couple, however, split in September after four months of marriage. It’s unclear if the footage will be used, but Danielle will be a part of the season. The Real Housewives of New Jersey premieres on Bravo Wednesday, November 7, at 9 p.m. ET. Is Julie Chen leaving ‘Big Brother’? Will Julie Chen return to ‘The Talk’ following husband Les Moonves’ exit?